Casapueblo – a white villa resort with views of the ocean at Whale Point (Punta Ballena). It includes an art gallery featuring the abrtract art works of Carlos Paez Vilaro. Carlos Paez Vilaro was friends with Picasso and Dali. A small peninsula between the two beaches shelters the port. Cruise ships tender here. You can reach the Church of the Candelaria on a short self-guided walking tour from the port the peninsula. The Candelaria Lighthouse (El Faro)is right next to the Church of the Candelaria. Visit the shops of Artigas Square and stroll Avenida Gorlero toward Playa Bravas. 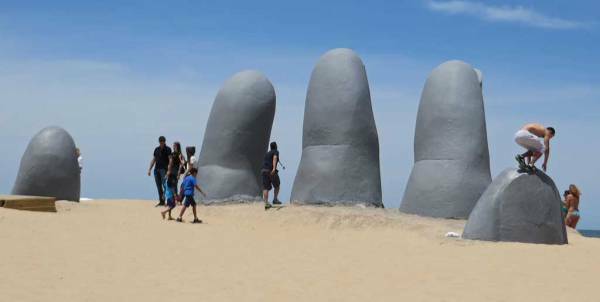 At the intersection of the peninsula and Playa Brava is Los Dedos, an oversized sculpture of fingers reaching out from the sands of the beach. Drive through the quaint homes of Beverly Hills, San Rafael and Cantegril, all of which are just inland from the two major beaches. Visit the Ralli Museum in Beverly Hills for paintings by Dali and Chagall. 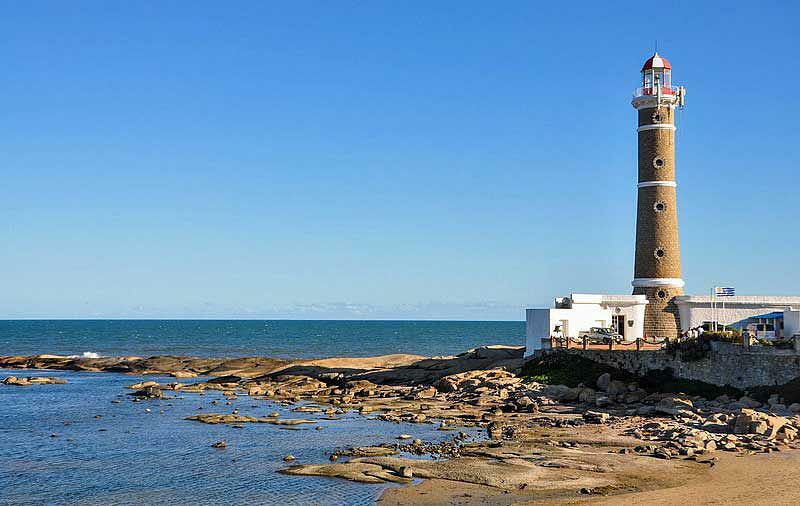 There are two great stretches of beachfront in Punta del Este. 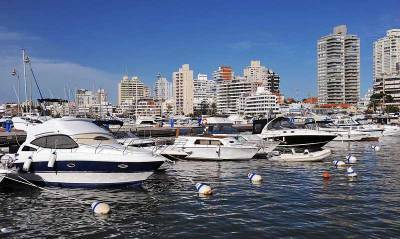 On the sheltered Rio de la Plata side is the waterfront street called Rambla Claudio Williman. It runs along Playa Mansa near the port. To the north, Playa las Delicias is calmer and more protected. The Atlantic stirs up surf on Playa Brava that is suitable for surfing. Have seafood at Lo de Tere Restaurante near the port and enjoy views to Gorriti Island while you dine. Try locally made dulce de leche – a mix of chocolate and caramel used in a variety of ways. Try tannat wine. It’s synonymous with Uruguay. 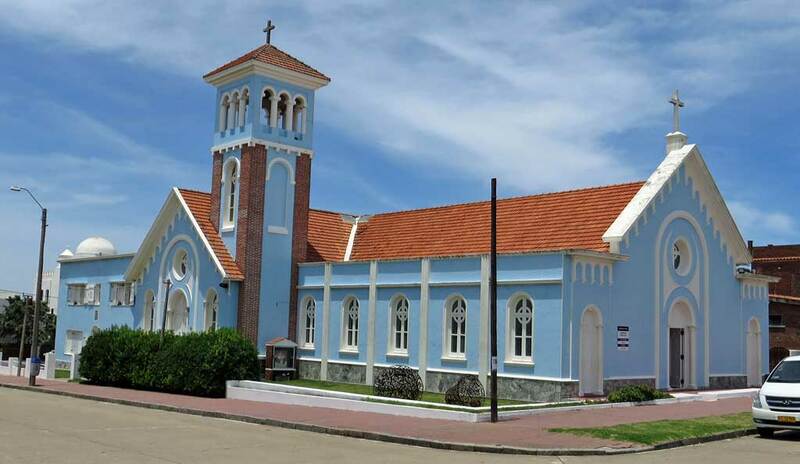 The Catedral de San Fernando is a more traditional colonial Spanish construction completed in 1895. It’s located about 10 minutes by cab from the port. 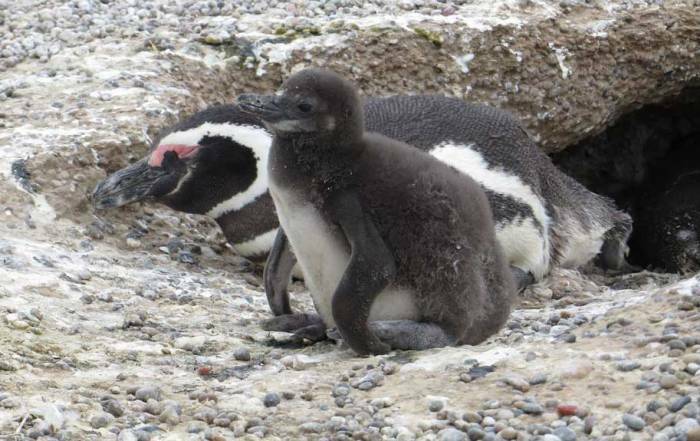 Take a short boat ride to Isla Gorriti or further to the gigantic sea lion colony at Isla de los Lobos. Charter a boat for saltwater fishing. Cross the roller-coaster-shaped bridge from Playa Brava to the old fishing village of La Barra. Conrad Resort and Casino hosts Las Vegas style entertainment. Take a day trip to Montevideo. It’s just over 2 hours one way by bus. 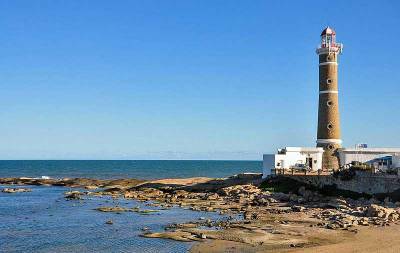 Drive 30 minutes or take a tour to the very small fishing village of Jose Ignacio. Take a tour to a winery. Capitan Carlos A. Curbelo International Airport is located just outside the city limits. The main connection route for international travelers to get to Punta del Este is through Buenos Aires. Carrasco International Airport, serving Montevideo, is another option. 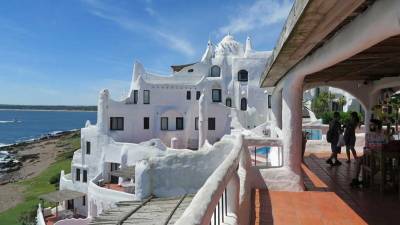 The largest airport in Uruguay is about 1.5 hours west of Punta del Este. There is no public transportation system, so visitors will need to rely on a rental car or taxi cab. Uruguay is in the southern hemisphere, so seasons are reversed from North America. 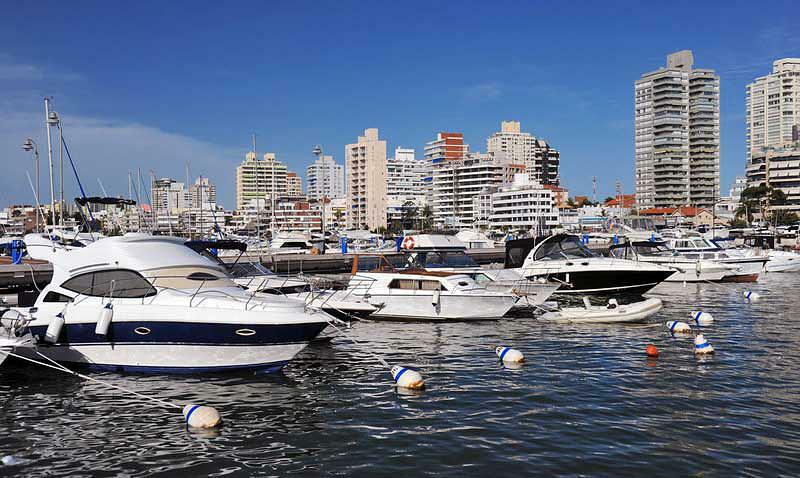 The proximity of the Rio de la Plata river and the Atlantic Ocean serve to moderate the Punta del Este weather. The popular months on the beaches are January and February when temperatures are warm during the day and pleasant at night. Expect average highs in January and February of 77 F (25 C) and average lows of 65 F (18 C). 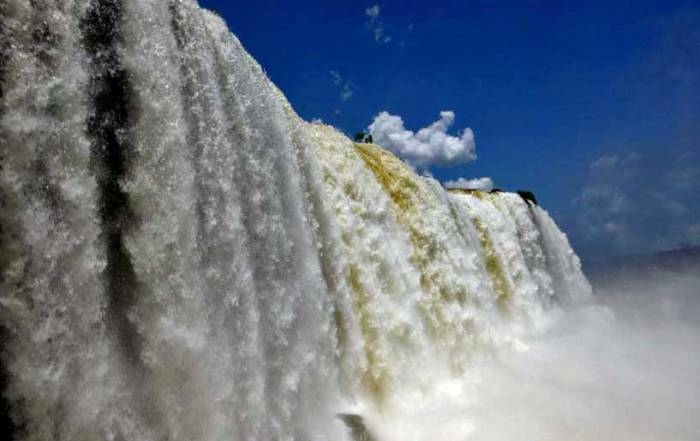 These temperatures are a relief from the climate closer to the equator and draw summer crowds from Buenos Aires and Rio. 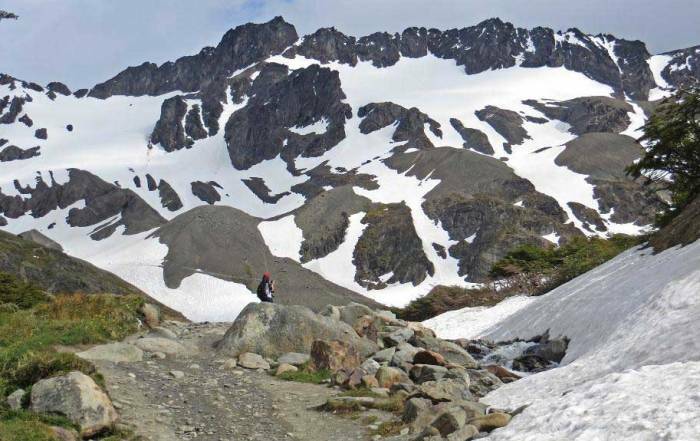 During the winter months of July and August the cooler temperatures don’t draw many tourists. Precipitation is light and fairly consistent each month throughout the year. 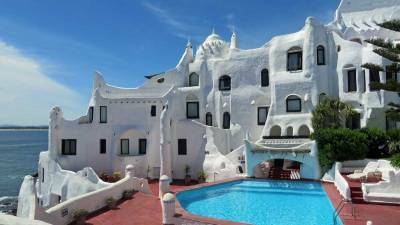 Punta del Este has a population of about 10,000 but this increases significantly in the summer. Its reputation as a summer tourist resort has brought an influx of modern hotels, restaurants, bars and night clubs. Success in catering to the beach life style has led it to be called the St. Tropez of Uruguay or sometimes just PDE. The name Punta del Este means Peninsula of the East and the old town is located on the original narrow point of land. From it, the beaches head out in two directions and lovely homes fill in the mainland behind them. 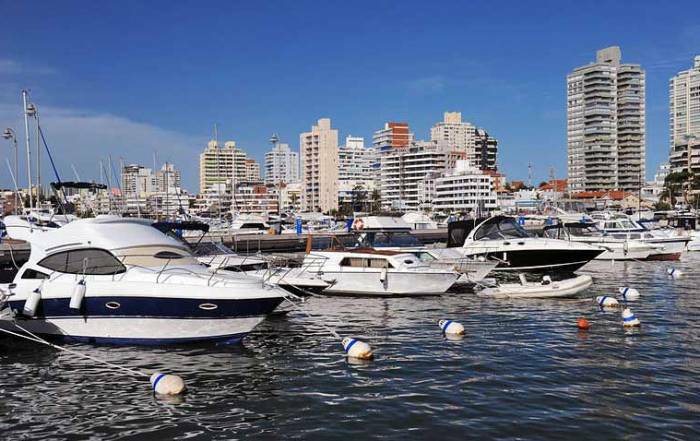 If you looking for a trendy place to be part of the modern scene, Punta del Este is a great choice. 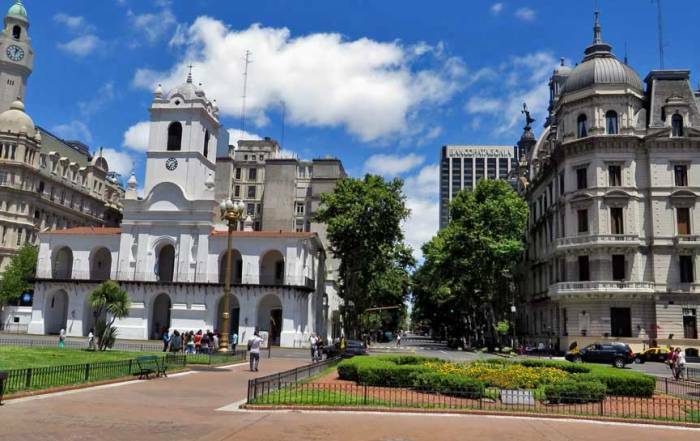 If you are looking for a more traditional and historical South American experience, head to the Old City in Montevideo.